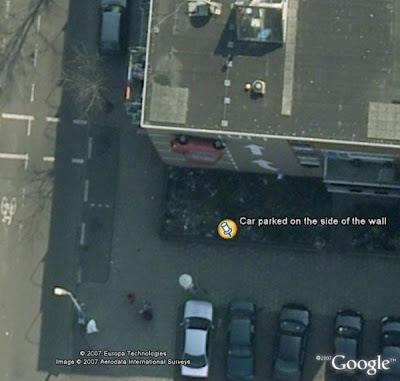 A brilliant in its simplicity solution to the parking problem in Holland as captured by Google's mapping satellites -- sideways vertical parking on walls. 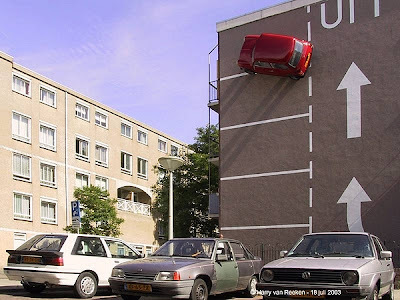 A real wall and a real car, even its lights come on. Too bad the guy can't park; see how he's taking two spots?